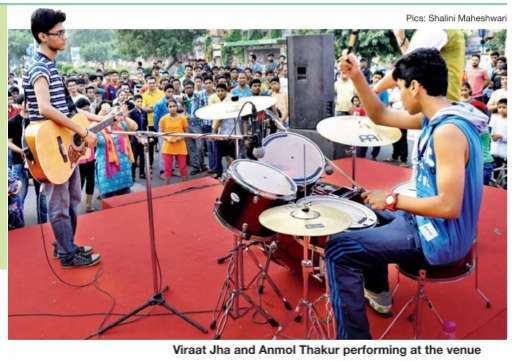 Dwarka once again woke up to some funky beats and tunes at Raahgiri Day , supported by the Times of India. 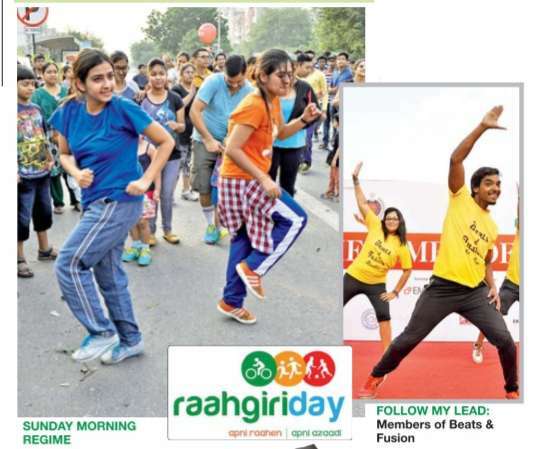 As the CP Raahgiri was suspended this Sunday, it seemed like all the fitness­savvy Dilliwallahs had gathered at Dwarka's Raahgiri. The morning started with an open jam and rap session by Virat Jha and Anmol Thakur. Beats & Fusion then took over the TOI stage and made Raahgirs do zumba on some peppy numbers. “The crowd today was fantastic and we all enjoyed a lot,“ said Robby from the group. Critical Innovation group also showed off some hiphop moves on stage. 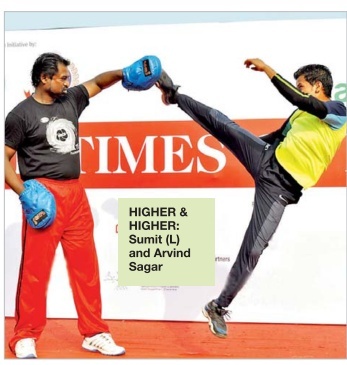 Many were seen honing their kickboxing skills when Sumit and Arvind Sagar showed them some kickboxing tactics. “We are the true Raahgirs and are here every week. The dance and workout sessions are our favourites,“ said Anuja and Apurva.